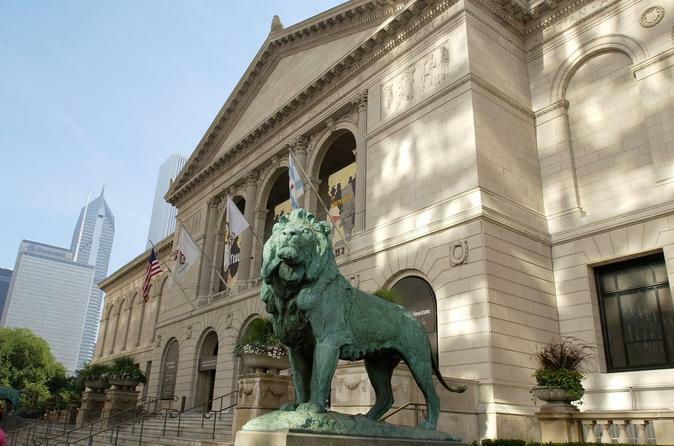 Art lover or not, the Art Institute of Chicago – the second-largest art museum in America – is not to be missed. Located in Chicago’s Grant Park, this amazing museum features an extraordinary collection of Impressionist, post-Impressionist, modern and contemporary art from such masters as Monet, Renoir, van Gogh, Picasso and Pollock, as well as stunning new-age architectural, industrial and graphic design. With mobile tickets, simply scan your phone for direct entry into the Art Institute. The Art Institute of Chicago, located in famous Grant Park, is the second-largest art museum in the US. With your Fast Pass admission ticket, spend the day exploring the amazing museum while bypassing General Admission lines and gaining expedited access to galleries and special exhibitions. Browse a spectacular collection of Impressionist and post-Impressionist masterpieces from famous artists including Claude Monet, Pierre-Auguste Renoir, Georges Seurat and Vincent van Gogh. At the critically acclaimed Modern Wing – just a short walk from Millennium Park over the spectacular pedestrian bridge – admire some of world’s greatest collections of modern and contemporary art from masters such as Henri Matisse, Pablo Picasso, Marc Chagall, Jackson Pollock and Gerhard Richter. The Art Institute of Chicago is also home to European and American decorative arts, Asian art and architectural, industrial and graphic design. As you explore the museum, your children can enjoy art-making activities.